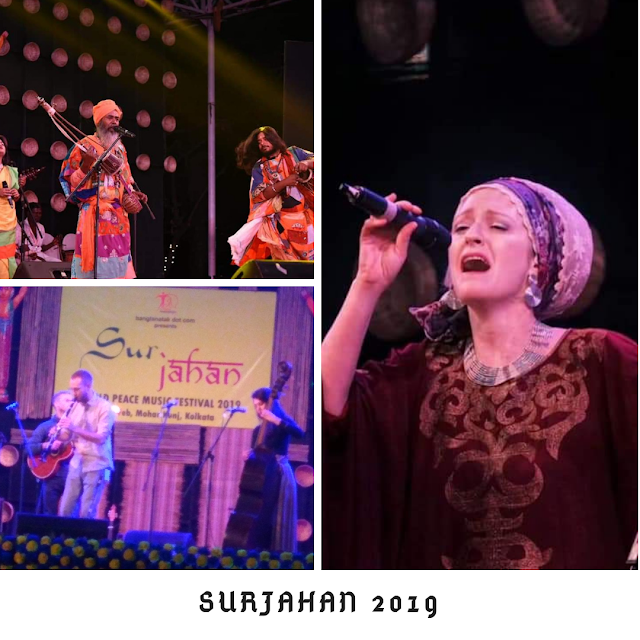 Celebrating peace and harmony through the music of roots has become a bookmarked yearly event for Kolkata music lovers who witnessed the 9th edition of Sur Jahan (rehashed version of Sufi Sutra), which was inaugurated on 1st Feb, at Mohorkunj, Kolkata. 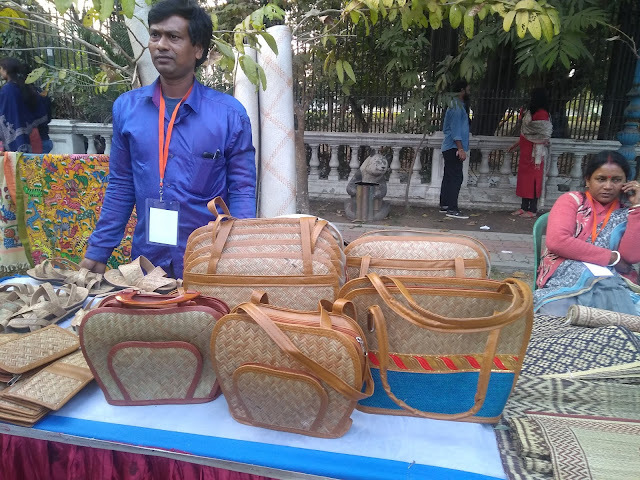 It was really an amazing experience for me to be in the inauguration ceremony of Sur Jahan which is a non commercial (open to all) festival organized ofcourse by the most talked about social enterprise from Bengal, Banglanatak Dot Com. 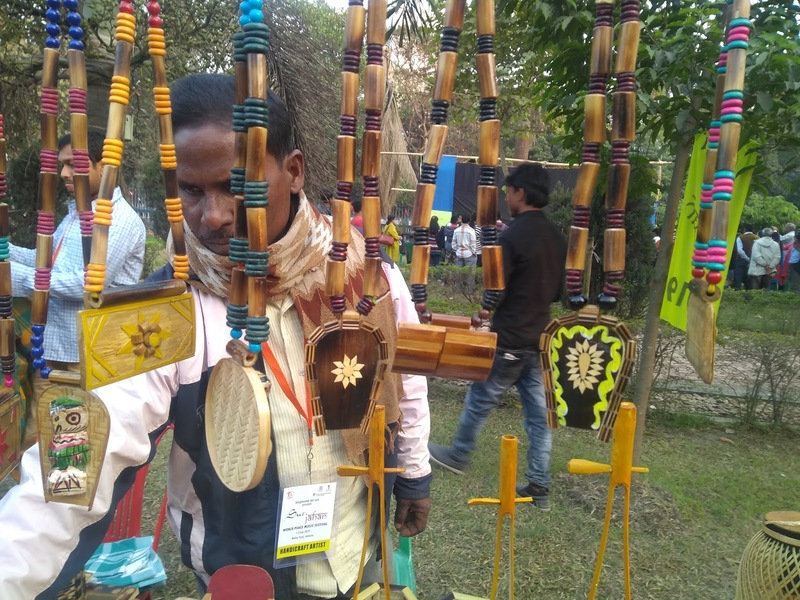 Apart from nurturing the traditional folk artists of Bengal, the audience is indebted to the esteemed organization for the opportunity to be enamoured by the international bands. This year the prolific bands from Hungary, Spain, Cyprus, Cape Varde and Egypt are invited and the festival was truly international in spirit with the presence of UNESCO South Asia Director Eric Falt. 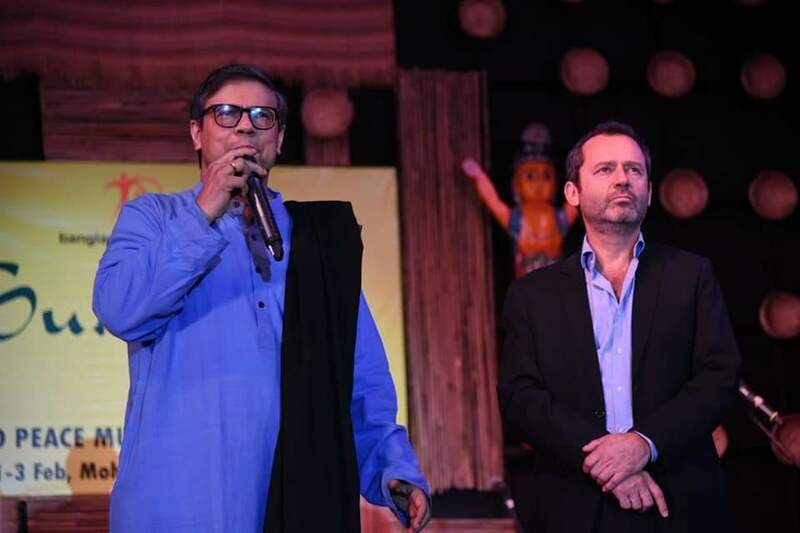 Banglanatak.com is an exuberant youth in its eighteen year old journey since inception in 2000 under the able leadership of Mr. Amitava Bhattacharya, the Founder Director of Bangalanatak Dot Com who announced the opening and briefed their illustrious milestones in the untiring strivings for upholding the cultural assets of India to the world arena with the mission to foster inclusive and sustainable development using culture-based approaches . The festival took off with the incredible medley by the traditional folk artists of bengal not to mention the punctilious reputation of Banglanatak to maintain the event timings to precision. The show embarked with the indeginous Santhali recitation of patachitra and the soulful tune Bauls of Bengal who approached the stage from the audience in a musical rally. 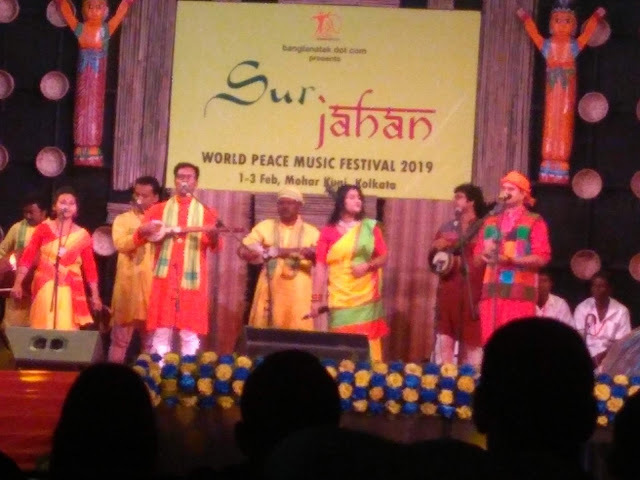 Essence of baul being the soul searching hymns, the audience got connected naturally to the chorus of baul music, a novel element of the show. 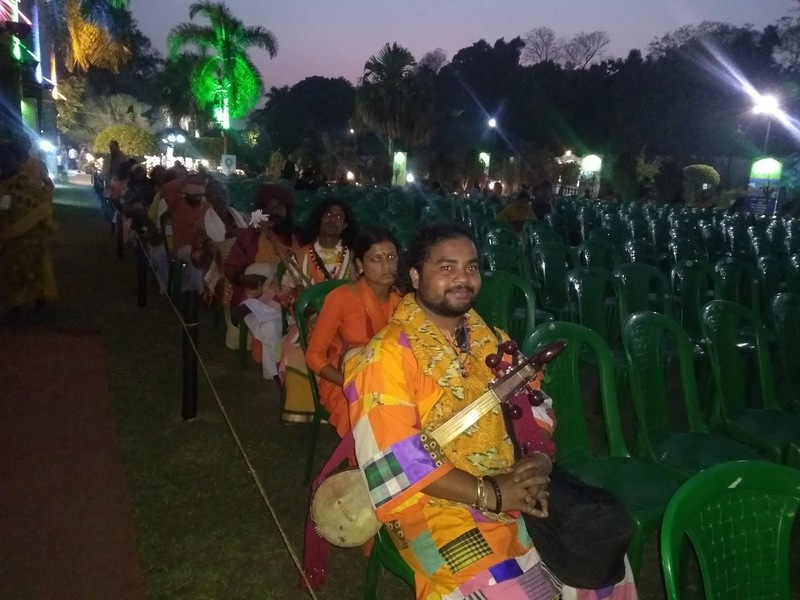 Popularized by the Nobel Laureate Rabindranath Tagore, the baul cult traces its origin from the district of Nadia has various forms in Birbhum, Bankura, Bardhaman, Murshidabad and about 2500 baul musicians all over West Bengal thrives on music. 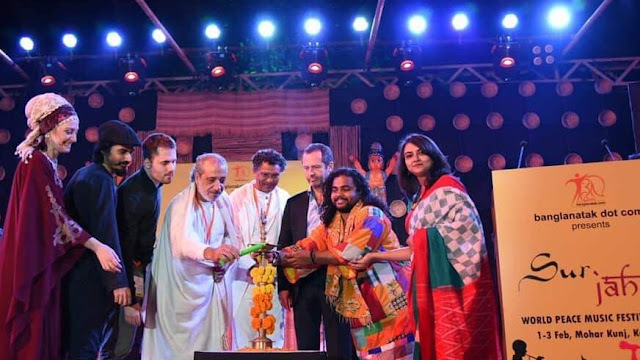 Banglanatak dotcom has been instrumental in promoting the singers world wide. 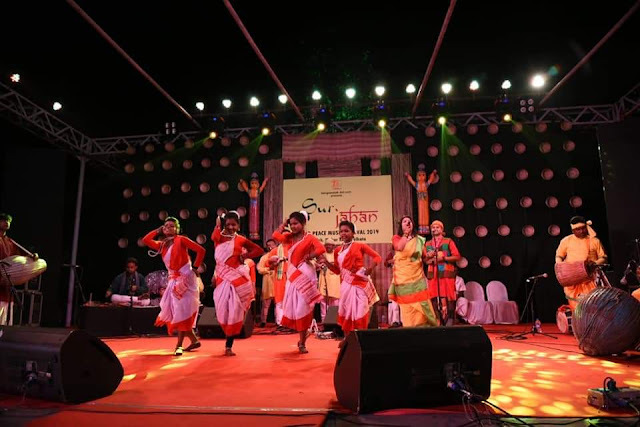 Other intrinsic performing art forms of Bengal like Jhoomur of Bankura, Chhou of Purulia and Bhawaiya music of north bengal were staged to the avid gratification of the local and international audience. 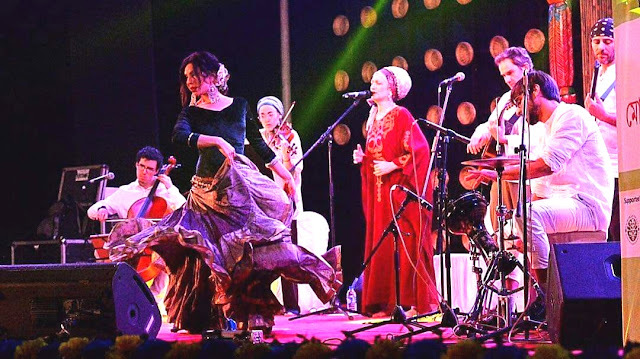 After few encouraging words from the UNESCO representation the audience was received by the youthful and an exceptional performance by Babra (Band from Hungary). 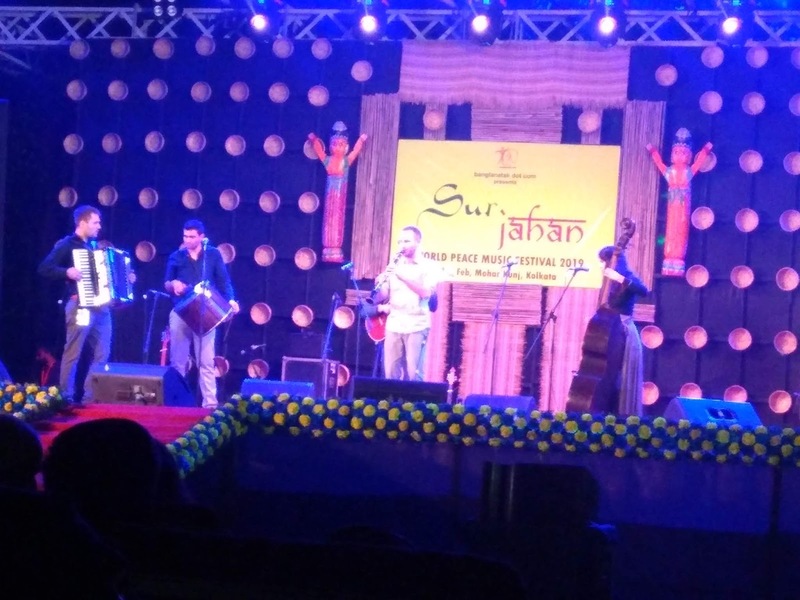 Babra can be well defined as the new face of south Slavic music. The individuality of the band stands by the unity of tamburas and synchronization of the clarinet and accordion.The First day concert concluded with the luminous performance by Liona & Serena Strings from Spain. 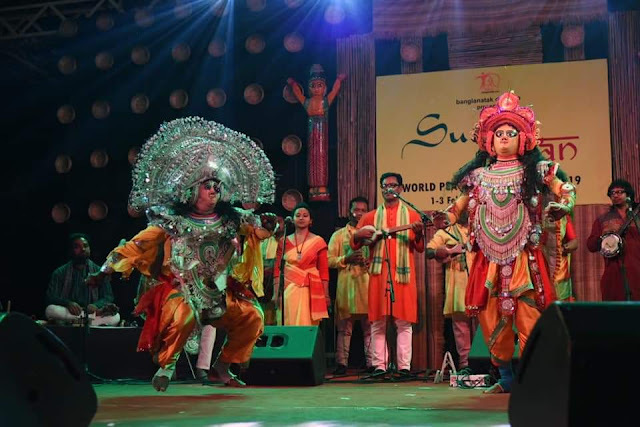 The Kolkatan spirit makes every cultural representation feel at home with the spontaneous reaction and the language is never a hindrance in music to win our hearts. 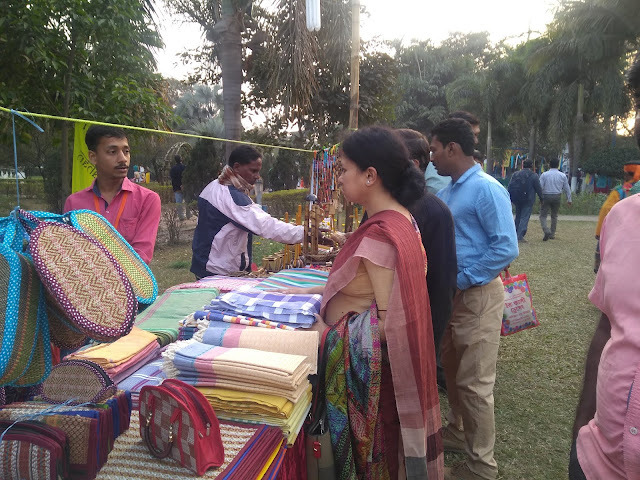 Before enjoying the concert I took out some time to browse the art and craft exhibition showcasing Madhubani, bamboowork, Patachitra, Madoor, Mask etc adjoining with puppet dance & Chhou dance. 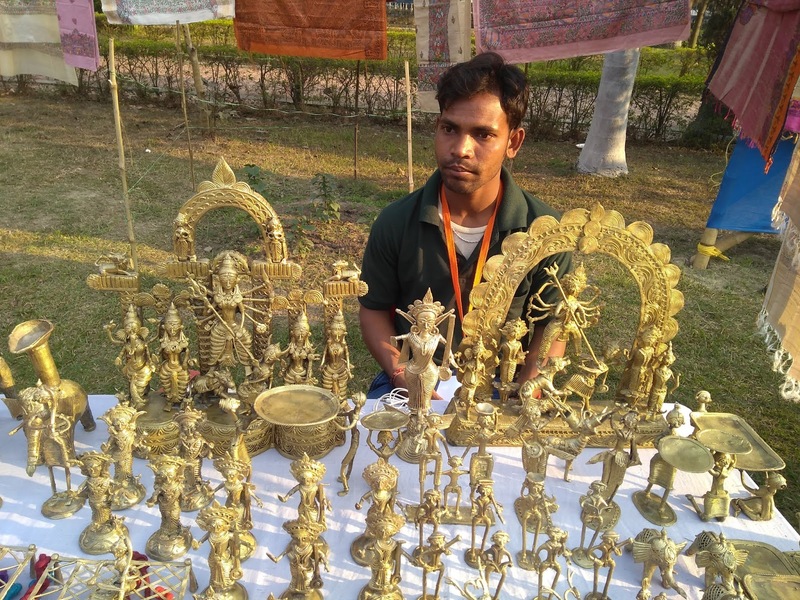 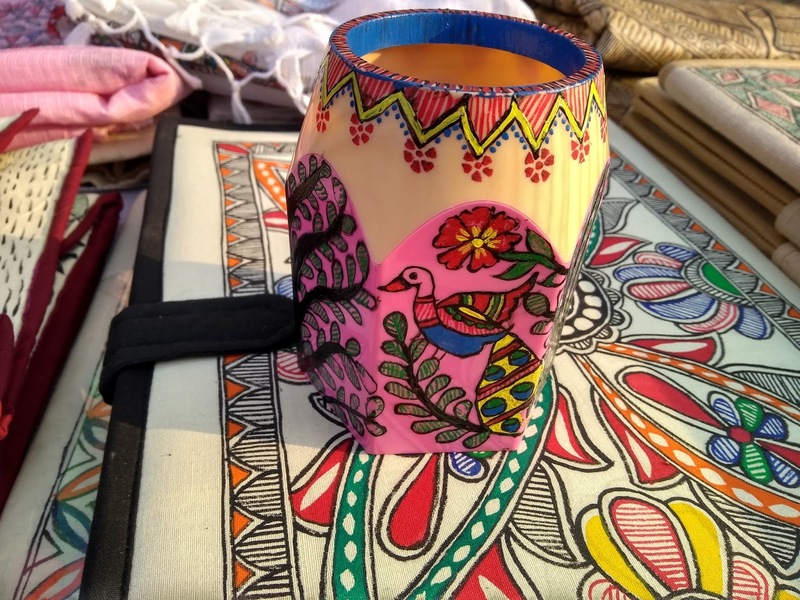 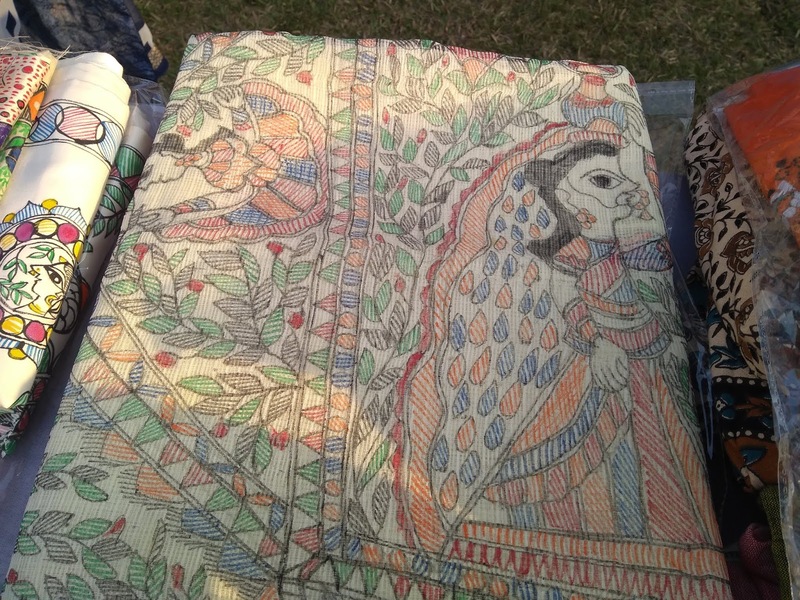 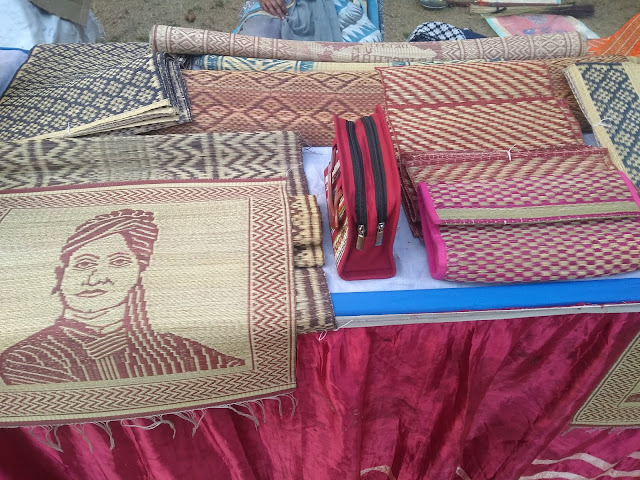 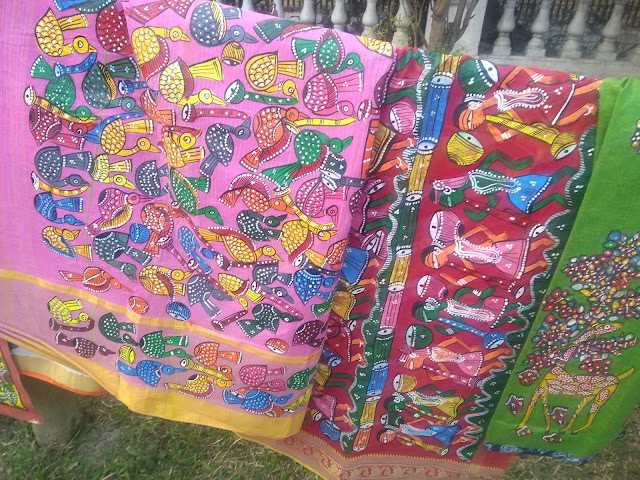 There was representation from varied districts of Bengal & Bihar in bringing their art forms and Banglanatak.com I learnt from Sreya (Art Co-ordinator) aided the handicraft artists in reaching out to the different markets, be it exhibitions, melas or online platform. 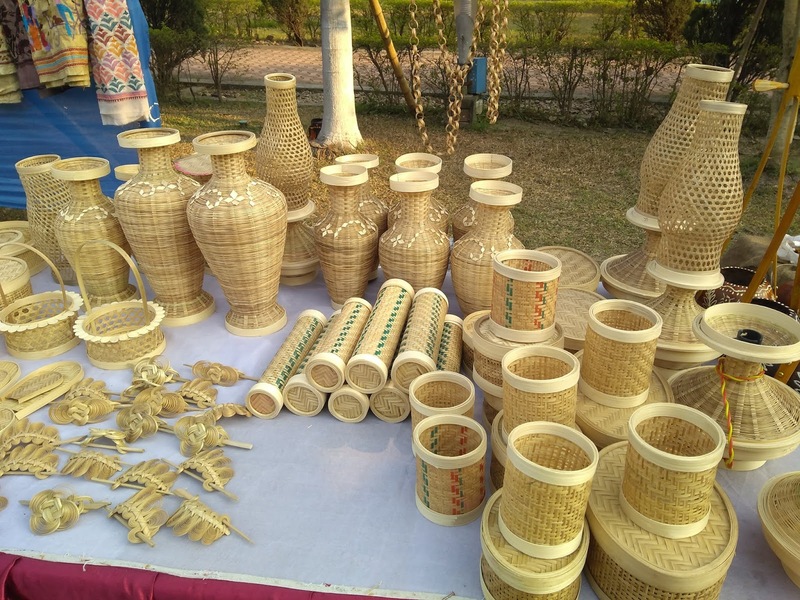 The organizations have held workshops, seminars and programs to guide the traditional artisans to know thier target customers well, innovate and mentored on improvised packaging. 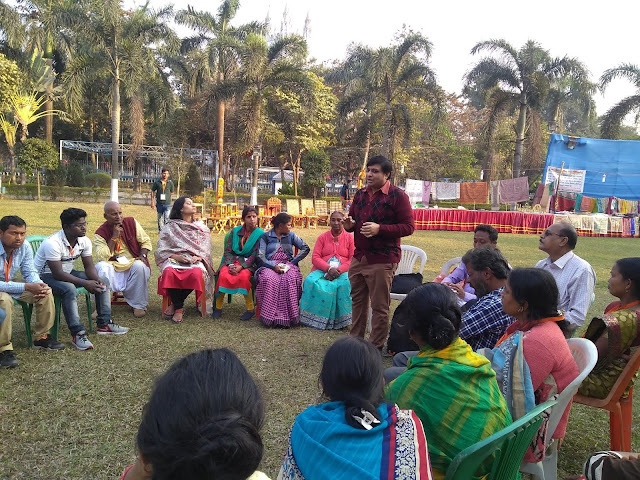 As I visited there was a one-on-one session going on with the representatives of the handicraft clusters with an upcoming unique e-commerce portal, Boutiqart.com. Its my appeal to those who havent still attended the festival, dont miss the experience to witness the unique performance of the foreign bands. 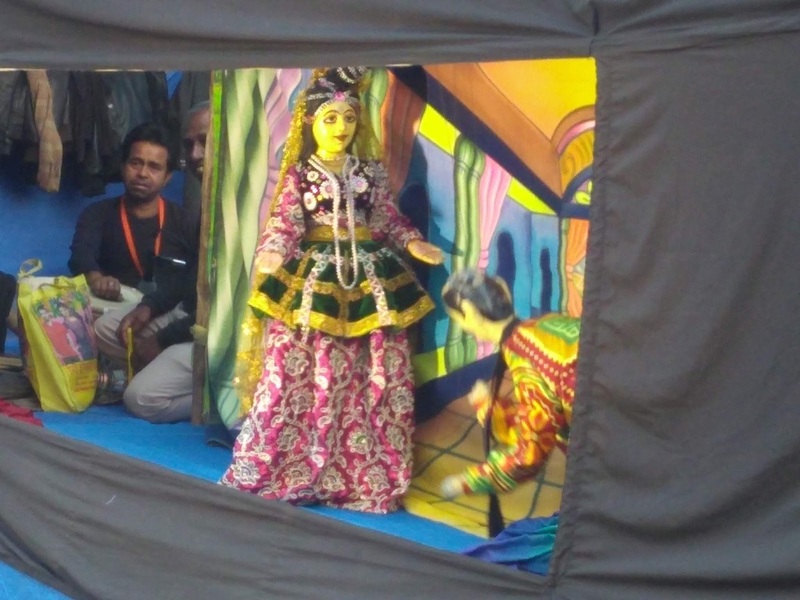 Follow the fixtures of Banglanatak.com for their upcoming events in Goa & New Delhi.